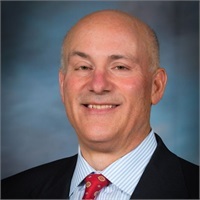 Steven L. Hyman | Equitrust Financial Group, Ltd.
Steven L. Hyman has made it his goal to provide experienced financial advice and superior service to his clients for more than twenty-five years. Steve graduated with honors from the University of Illinois, earning a bachelor's degree in accounting, and also acquiring his designation of Certified Public Accountant. He later acquired the advanced professional designation of Personal Financial Planning Specialist (PFS) through the American Institute of Certified Public Accountants. He is also a Certified Fund Specialist (CFS). Steve has received numerous industry awards and honors for his professional achievements and unparalleled service. He enjoys running, golf, and performing improv. He also enjoys traveling, spending time with his family, and is an avid Chicago Cubs, Blackhawks, and Bears fan.